We would like to let you know how things are coming along with this project. 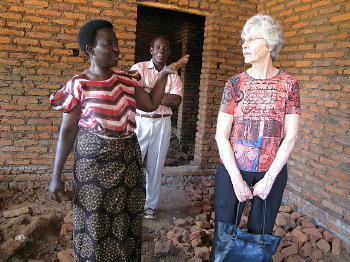 Beverly and I visited the clinic on April 16, 2014 to assess what yet needed to be done. 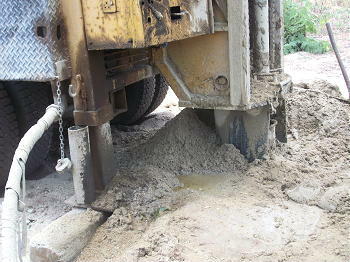 I wrote about this on our TravelPod blog where you can see the events of the entirety of the day. 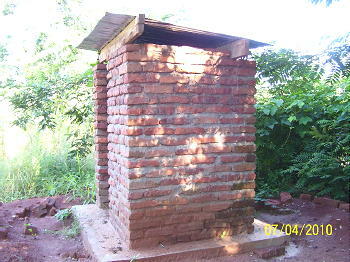 The project was started in 2008. 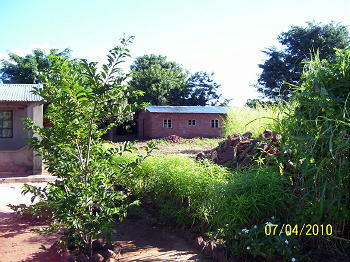 Two buildings have been built and a borehole put in, but it is not finished yet. 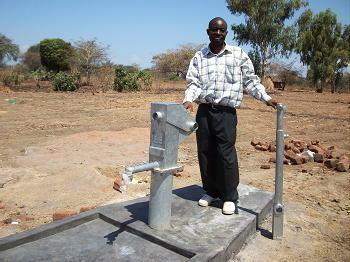 We have worked through nNester Phiri who is a nurse. The difficulty getting it going has been finding a qualified government certified practitioner to run the clinic. Nester does not have the necessary qualification to do that. But, we worked out a plan to finish the maternity ward, neonatal and "under five" building and have the operation start working. It will be called Thandiza LifeNets Clinic. "Thandiza" means "I've been helped." That's what Nester wants to call it. We stayed out at the clinic through the morning and talked to Nester about the next necessary steps and feel confident that we will now have the clinic up and going in short order. There is a government hospital very close by that will actually help mothers be drawn to the adjacent clinic for birthing, prenatal and postnatal up to age five. 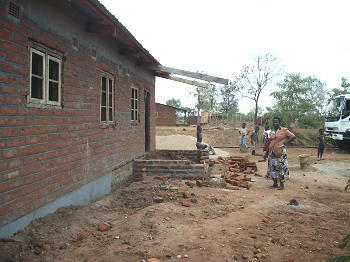 The two buildings of the clinic are the Outpatient (OPD -- Outpatient Department) and the Maternity building. They start in ODP and then go on to birthing in the adjacent building. There will be a need for six staff members: Clinical Officer, nurse (Nester), two watchmen, two cleaners. 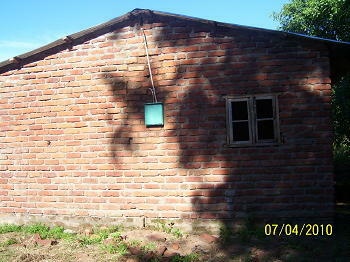 What is needed now to finish the project are to build toilets, paint, windows, wages for the first two months for the qualified government practitioner and equipment. This will cost about $6,000. 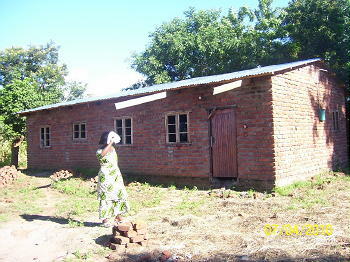 We are thankful that LifeNets AUSTRALIA has offered to help complete this project. 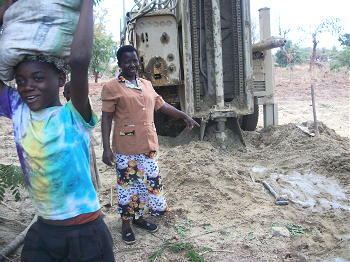 Our supporters in Australia have been very generous in helping with such worthwhile projects. 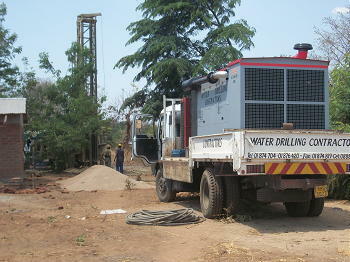 We were very happy to receive photos from Malawi today showing progress on the clinic and the drilling of a borehole adjacent to it. Below is a letter of thanks to LifeNets supporters for funding the clinic. 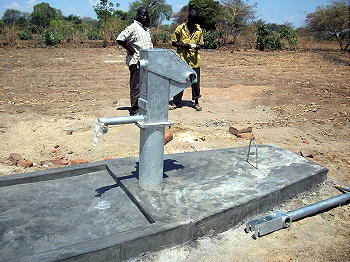 We thank Rotary International for a $21,000 grant for three boreholes, one of which will serve the clinic and community. 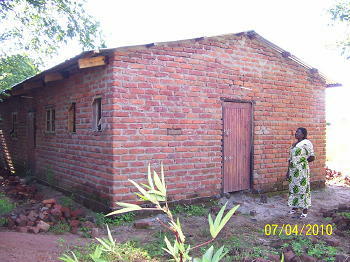 I would like to thank LifeNets Contributors for assistance given to me through LifeNets coordinator Mrs. Beverly Kubik, which has enabled me to build a Clinic of which upon its completion will help me to earn a living. 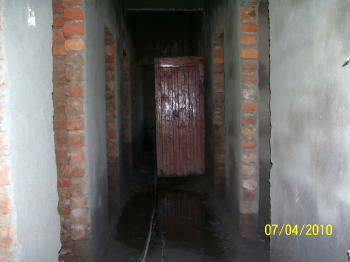 The Clinic will comply of three departments. The first department will be for daily care of sick people where they will be getting the treatment according to their illnesses. On this I will need to employ a clinician to run that department. 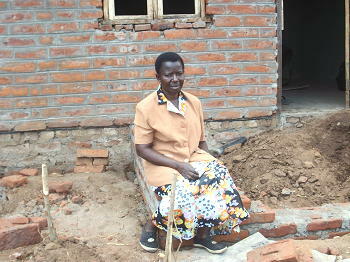 The second department will be a prenatal care for pregnant mother before they deliver their babies. I will be the one responsible for this department. 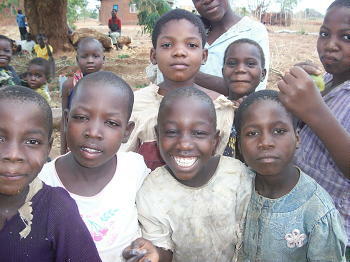 The third will be for children care ranging from day one to five years of age. They will be monitored on their weight, growth in general and their health status. They will also be given various vaccines. I will be in this department also on voluntary basis because most resource on this area come from the Government. 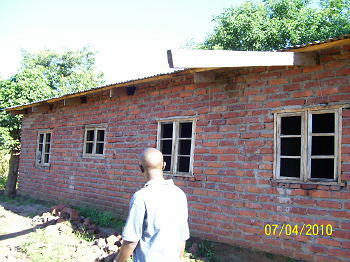 The clinic will assist about75 families around it and others from within Salima district. I will need about five people to start the clinic that is including me. I heartedly thank you for your assistance. 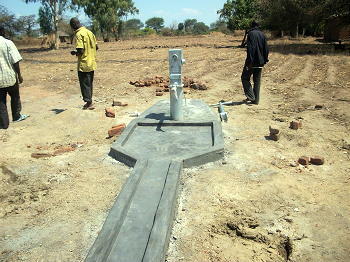 In the first week of November, 2010 a Rotary-funded borehole was drilled adjacent to the clinic. 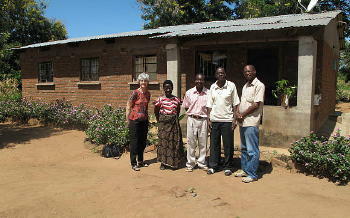 Two years ago while visiting in Malawi, Beverly and I spoke with a nurse we had known since about 2003. Her name is Nester Phiri. 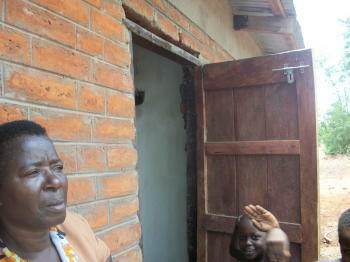 She had worked for another one of our clinics in Lilongwe, but moved back to Salima close to Lake Malawi. The photos below were taken in April. 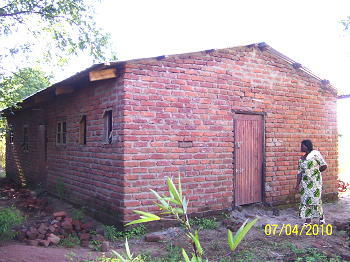 We are anxious to see this clinic in September 2010 when we visit in Malawi. 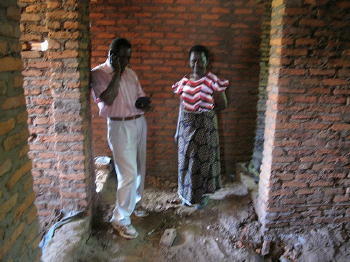 Nester told us that the clinic is a work in progress and it is in the process of being registered with the government. 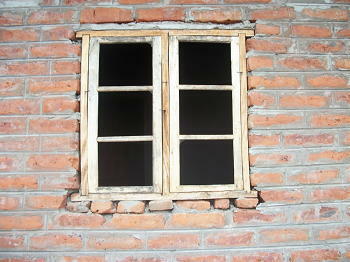 The walls are up inside as well as doors and window. 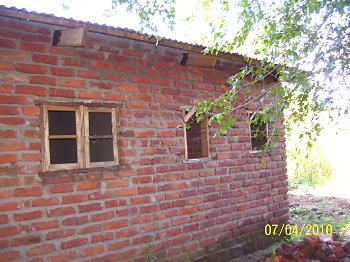 This is a $4500 project that will do a lot of good for Salima.